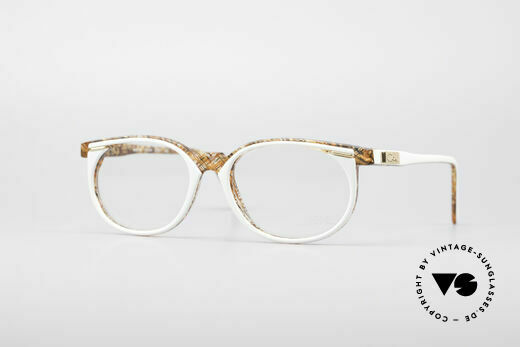 The Cazal 300 series is not easy to classify because it features vintage glasses for women as well as vintage glasses for men. 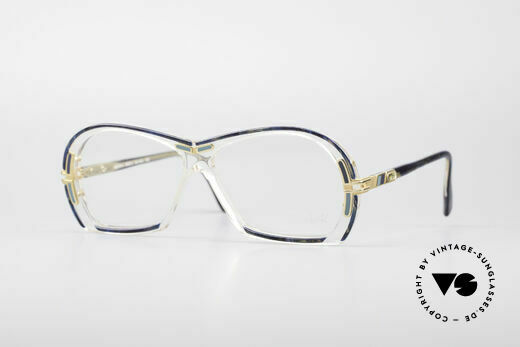 Many of the 300-series Cazal designer pieces can be described quite well as “unisex glasses”. The materials used are also often a mix of plastic and metal, combined with striking patterns and colours. The best example of this is the most famous vintage model of the 300 series, the Cazal 325. This model consisted of a plastic front with spectacular metal arms and was produced in four different pattern versions, one more unusual than the other. 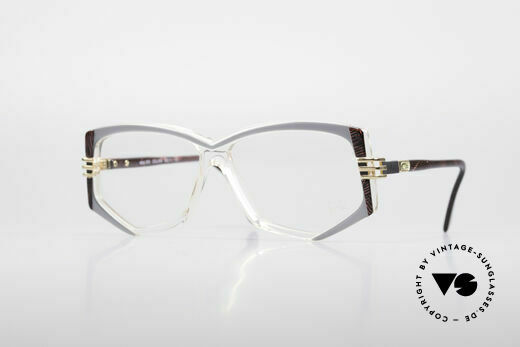 The vintage Cazal 325 can also be worn as ladies' glasses as well as men's glasses, and can of course be glazed to suit. 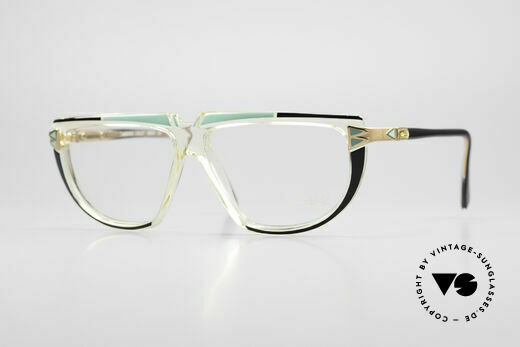 Other models, such as the Cazal 353, impress with their colourful frames in the round shape, which is rare at Cazal. The Cazal 368 is also very conspicuous. If in stock, we offer these classic glasses with original demo lenses as well as with new sun lenses. But no matter whether Cazal glasses or sunglasses, each is a classic original from the 80s or early 90s. 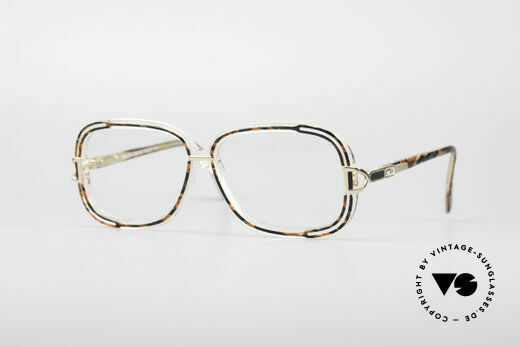 As far as we know, these models - as well as all other vintage Cazals in the 300 series - are not yet replicas of the retro glasses, because CAZAL has not yet reproduced this series. Independently of this, we only offer vintage Cazal originals from the 80s and 90s. NO RETRO specs; an unique ORIGINAL - must have! best craftsmanship (made in Germany), true vintage! NO RETRO eyeglasses, but a 25 years old ORIGINAL! part of the American HIP-HOP-scene, at that time! NO retro glasses, but an old original - true vintage! NO RETRO SUNGLASSES, but a 20 years old ORIGINAL! 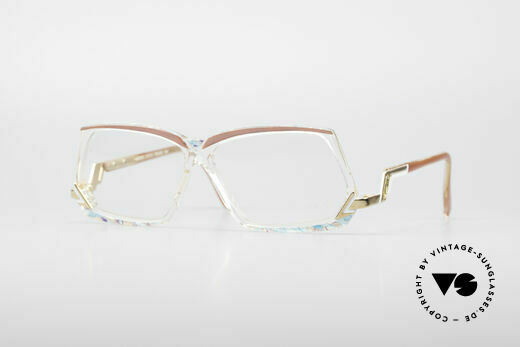 CAZAL called the terrific pattern: "copper-gold mosaic"